Tottenham face Bournemouth on Boxing Day just days after moving two points off Manchester City on Sunday as they steam-rolled Everton. Tottenham Hotspur will welcome Bournemouth to Wembley Stadium on Boxing Day as they look to continue their excellent league form. Spurs are on the back of a 6-2 thumping over Marco Silva's Everton whilst the Cherries look to continue from where they left off against Brighton & Hove Albion. After pulling themselves into the title race, Tottenham cannot afford to drop points in a game such as this. A good omen for Spurs is they have never tasted defeat in the Premier League against the Cherries. Spurs enjoyed their trip to Merseyside on Sunday as they put six past Jordan Pickford in the Everton net. Despite going one behind when ex-Arsenal forward Theo Walcott out the Toffees ahead Spurs quickly turned around the proceedings. 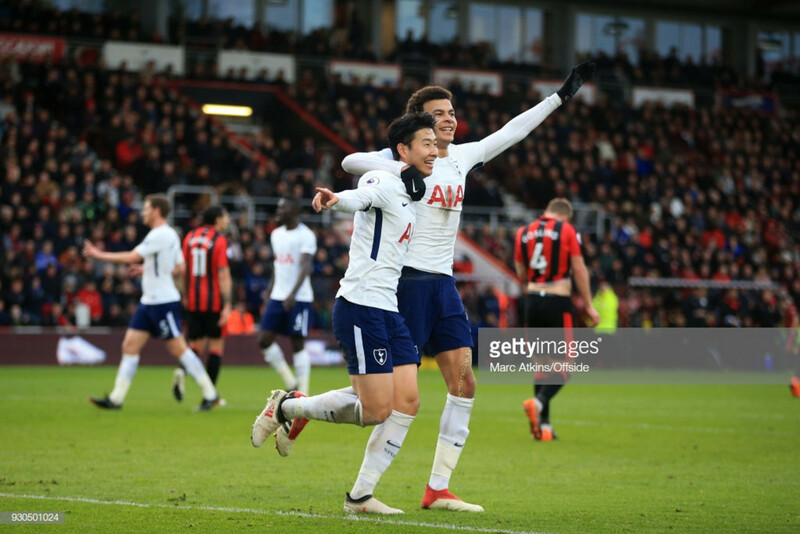 Heung-min Son, Harry Kane, Christian Eriksen and Dele Alli all found themselves on the scoresheet to see the Lilywhites claim all three points. The victory saw Spurs move five points clear of Chelsea and Arsenal and just two behind second-placed Manchester City. As for Wednesday's visitors, the Cherries claimed maximum points against their fellow south coasters, Brighton. Youngster, David Brooks bagged himself a brace as the Cherries put the Seagulls to the sword to see them move up to eighth place. Spurs midfielder, Dele Alli is unlikely to feature on Boxing Day after he was forced off at half-time against the Toffees due to an injury. It is also anticipated that Moussa Sissoko is unlikely to play after the Frenchman has featured heavily in the past two months fixtures. Jan Vertonghen still remains out until January. As for the visitors, Eddie Howe does not have any new injuries to report. Ryan Fraser made his comeback against Brighton from the bench and is pushing to start at Wembley. Tottenham boss, Mauricio Pochettino was thrilled by the rout over Everton on Sunday. "It was a very good performance. I am so pleased and I’m very proud of the performance and the energy we showed today. "I am very pleased about the result, but, of course, the performance is the first." Spurs have now won 11 of their last 13 Premier League fixtures. "We deserved to complete the result, a very important three points to start a very busy period of four games in 10 days. It's always important to start that period of games with that type of performance and result," the 46-year-old added.